Mayor Joet Garcia of Balanga, Bataan drops a big ten peso coin in a giant Bantay Bata coin bank with Governor Abet Garcia (left) and Vice Mayor Noel Valdecanas (right) during Balanga Bataan’s 14th Cityhood Anniversary. 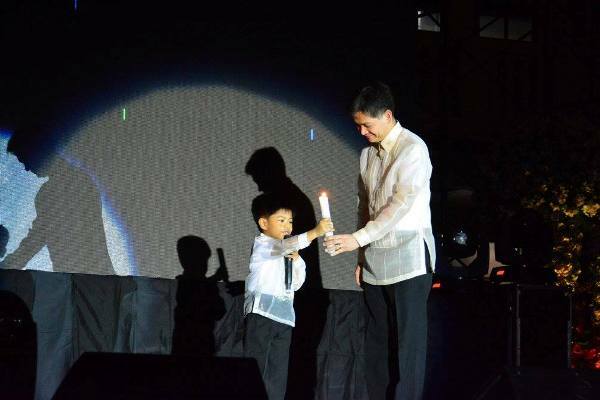 Balanga, Bataan – The celebration of the 14th Cityhood of Balanga, Bataan became more meaningful as the LGU started a partnership with the country's first and only media-based child-caring program, Bantay Bata 163. 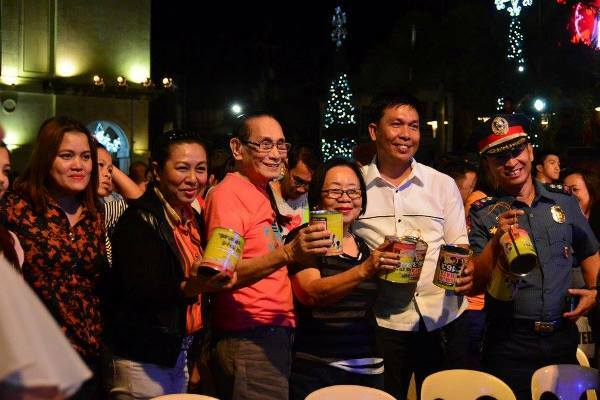 Headed by Mayor Joet Garcia, 500 “Barya Mo, Buhay Ko” coin banks of Bantay Bata were distributed to 500 barangay officials, private sector groups, national government agencies, and schools, with the aim to teach his constituents to save and help even in a simple way. 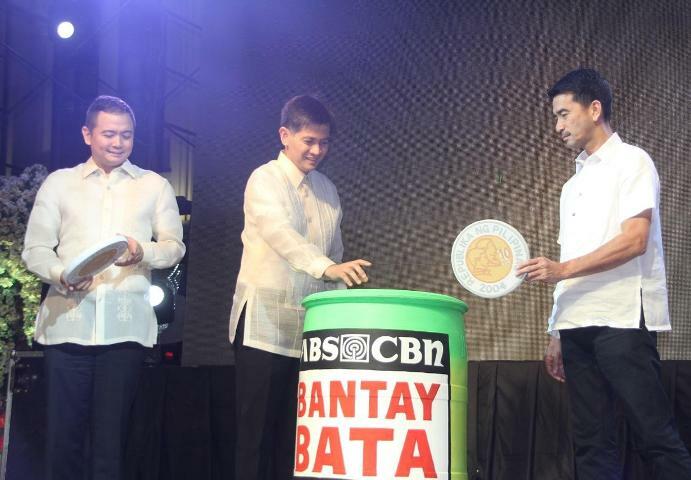 The ceremony was graced by Governor Abet Garcia, Mayor Joet Garcia and Vice Mayor Noel Valdecanas who dropped big 10 peso coins in a big Bantay Bata can. 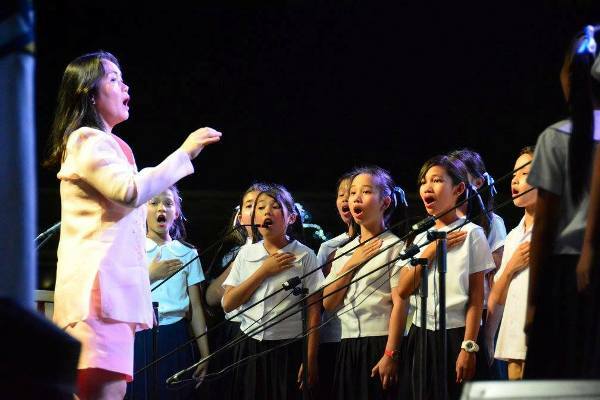 The event is a follow up gesture after Caress Banson, the Resource Mobilization Manager of Bantay Bata, became the commencement speaker to 900 parents who took up a 10-module parenting class and spoke about the importance of parents’ roles in molding the society. 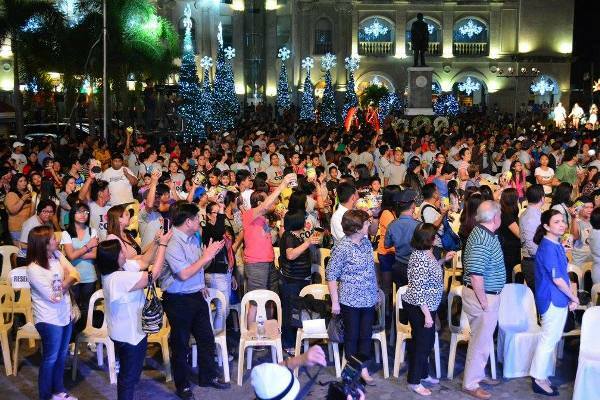 During the New Year’s Eve, instead of using firecrackers, Mayor Garcia asked the citizens of Balanga to rattle their coin banks to celebrate. This has also been in connection with the Iwas Paputok campaign of the Department of Health which is supported by Bantay Bata 163. The “Barya Mo, Buhay Ko” coinback is one of the longest projects of Bantay Bata 163. 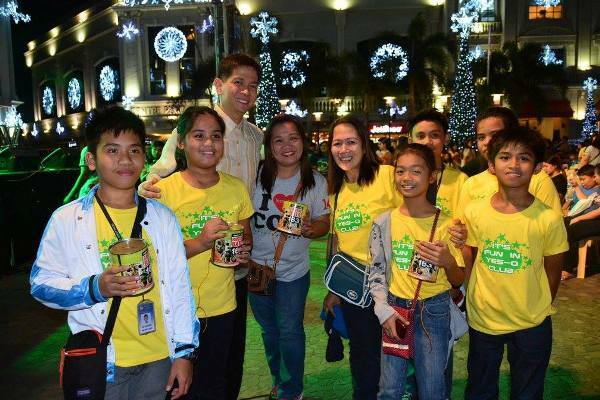 Since its beginning, the coin banks placed in malls, supermarkets, schools, and adopted personally, have been a simple but useful tool in providing food on families’ tables, sending children to schools, helping abused children walk towards the path of healing, and giving medical assistance to sick children. The Philippines has more than 100 cities. If every city can adopt a Barya Mo, Buhay Ko coin bank, with citizens dropping their extra coins in each can, more lives of children and families in need can change for the better.